You can find Tesco Superstore at 15 Yeldham Place, approximately a 0.18 mile distance north-west of the centre of Haverhill (a few minutes walk from Haverhill Bus Station). The supermarket is situated in a convenient location for shoppers from Withersfield, Horseheath, Haverhill, Linton, Kedington, Steeple Bumpstead and Sturmer. If you plan to drop in today (Thursday), it's open from 7:00 am - 11:00 pm. 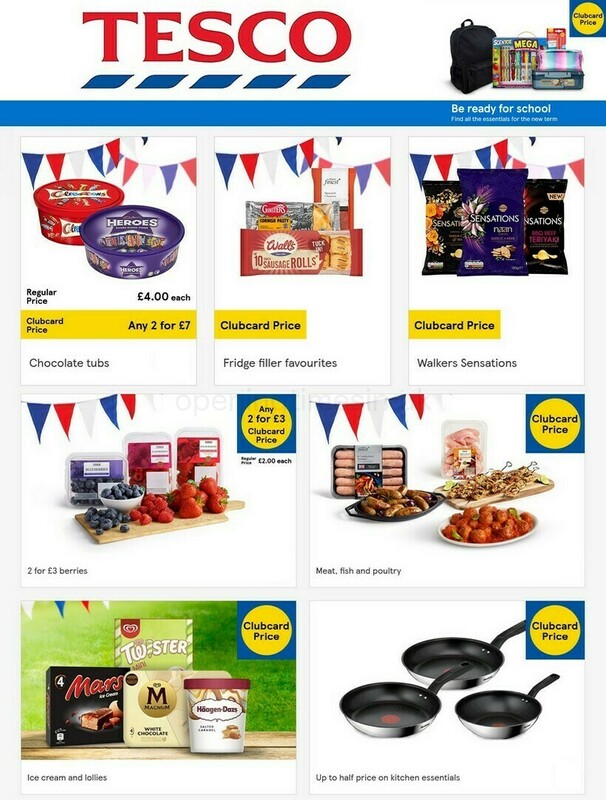 This page will give you all the information you need on TESCO Haverhill, including the hours of business, local directions, direct telephone and other info. You may visit Tesco Superstore near the roundabout of Wratting Road, Lord's Croft Lane and Cangle Road, in Haverhill, Suffolk. 1 minute drive time from Withersfield Road, Ehringshausen Way or Wratting Road; a 3 minute drive from Haverhill Road, Burton Road, Bumpstead Road and Rowley Hill; and a 6 minute drive from Haverhill Bypass. If you're using Sat Nav systems, the coordinates are CB9 0BQ. Within a short walk from the bus stop at Haverhill Bus Station. The best routes: 13, 14, 15, 19, 25, 59, 60, 225, 236, 348, 349, 350, 351, 13A, 13C, 14A, 14B, 15A, BB and X13. On foot you will come across Castle Manor Academy, Cambridge Road Retail Park, Haverhill Golf Club, Burton End School, Castle Hill Community Middle School and Samuel Ward Academy. There is presently 1 TESCO location operating in Haverhill, Suffolk. Click here for an entire listing of TESCO branches near Haverhill. Please note: hours of operation for TESCO in Haverhill may vary from daily times over public holidays. In 2019 these updates cover Christmas Day, Boxing Day, Easter or Spring Bank Holiday. For additional details about the holiday business hours for TESCO Haverhill, visit the official site or call the direct number at 0800 50 5555. Help Opening Times in the UK keep the information as accurate as possible. Please feel free to utilize the report a problem form to report any errors with the place of business address details or working times for TESCO in Haverhill. Help future customers by ranking TESCO with the star rating scale. You can also submit your review in the box provided below.